In the recent times, the oven has become an integral part of our lives. Whether we are baking cinnamon rolls, or just heating the food so that it is edible. And since many women are working full time nowadays, they find it really nerve breaking to cook food after returning from their jobs. That’s when the oven smiles at them, and says that you can put that food in me, and I will cook it for you. And if you don’t have an oven, then purchasing one wouldn’t cost you an arm or a leg. Because there are so many choices available out there that fit any pocket size. But placing your oven in the appropriate place is crucial. Many people choose to keep this oven in a corner, and forget about the safety of it, but that’s not the solution. Just like refrigerators and your cooking range, the place of the oven should be planned well in advance. Many might not know, but placing the oven in certain places in your kitchen, can prove to be hazardous. While deciding where you place your oven, you should keep two things in mind. Safety and Convenience. Since the oven uses electricity to heat up your food, you should make sure that it is placed in a safe place. And since it is being used almost on a daily basis, it should be in a convenient place. 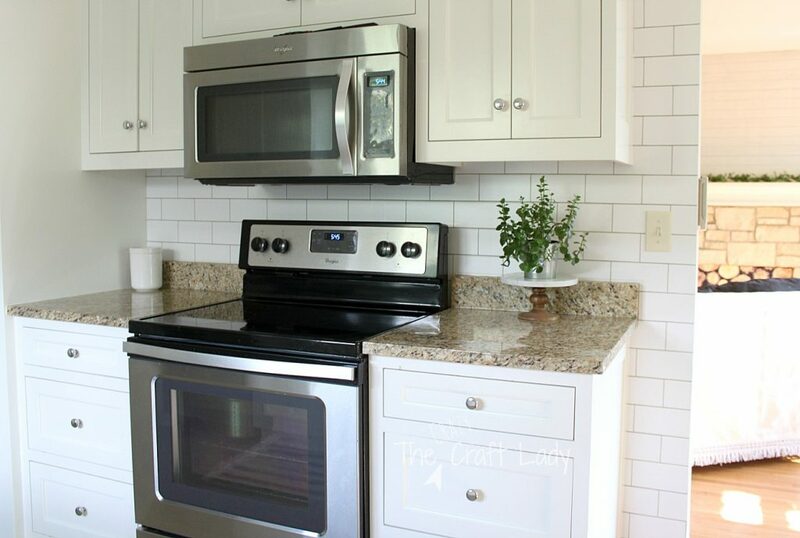 Even though placing your oven in the corner of your kitchen is also considered an appropriate place, just make sure that it is always dry and that you can see it from every corner of your kitchen. As I said above, convenience is also crucial, because we will be using it on a daily basis. We all know that ovens come in various sizes. And if you have already planned a place for your oven, then you should take the measurements of that place, such as the length, height and width and choose an oven according to that size. Here are some of the best places to keep your oven in the kitchen. This option is best for people who have not planned a place for their oven. And if you happen to purchase a small oven, then keeping it on the counter or in the corner of a counter might be the best place for it. Just make sure that you are not placing it anywhere near your sink or cooking range. The best place for it is to keep near the refrigerator, or if you are not keeping it near the refrigerator, then make sure that it is at a safe distance from the sink and your cooking range. You might have already noticed this in others kitchens nowadays. It is because this place makes it more convenient for a person to use it, while still not having to worry about spilling water or other things. A shelve can be made specifically for your oven under your counter. Obviously these shelves will be designed according to the size of your oven, and that the space will be like the drawers. And instead of drawers, there will be your oven. Placing the oven on the wall is probably the best place if you have not yet planned anything for it. All you will have to do, is get a shelf that would be custom made for your oven, and that’s it. Also, if this place is anywhere near your refrigerator, the better is the place. This is the most ideal place for an oven, since this is the place where you will hardly have any inconvenience reaching to the oven. And if you choose to place it above your refrigerator as in the picture below, it would be the best place. But placing it over your refrigerator can prove to be a bad decision if the height of your refrigerator is more than what you could reach for. If your kitchen has a dining table, then it would be perfect for you to keep your oven anywhere near it. Places such as the counter, or on a shelf would be great because then you will be able to serve directly from the oven. And another plus point of it is that you will not have to walk longer to serve. Wherever you choose to keep your oven in the kitchen, there are always some precautions that you need to take to ensure having a good time baking food in the oven. Make sure that there is a table or your kitchen counter near the oven, because then you will be able to place that hot plate as soon as you remove it from the oven. Another thing that you need to keep in mind, is that it should not be reachable by your kids. Also, make sure that you are closing the door of your oven after removing your plate. Keeping your oven at a height which cannot be reached by your kids is the best place, because it will ensure the safety of your children.